Broad majorities of Democrats and Republicans alike disagree with President Obama's decision to supply arms to rebels fighting to overthrow Syrian President Bashar al-Assad, according to a Pew poll out Monday. Following the president's announcement last week that the United States would provide military support to opposition forces in the war-torn country amid mounting evidence that Assad used chemical weapons against them, 70 percent of Americans polled said they oppose doing so. 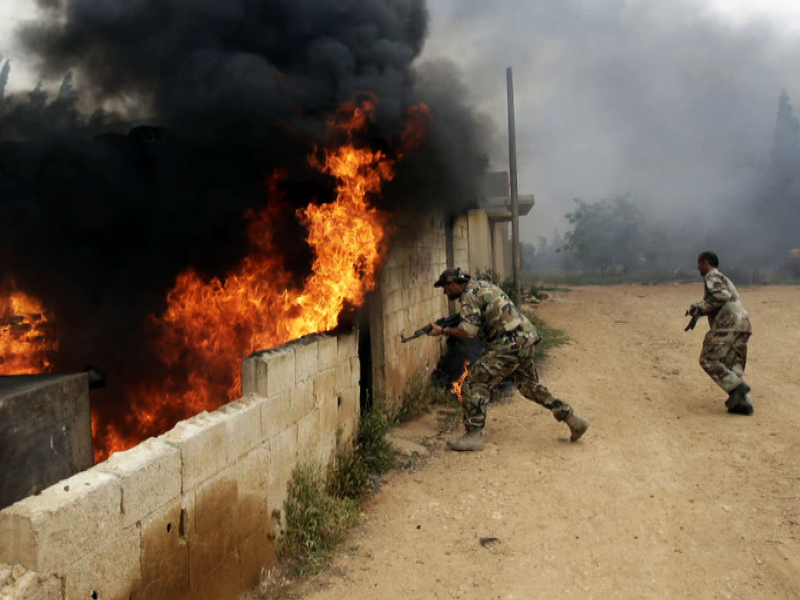 About two-thirds argued the U.S. military is stretched too thin; 60 percent said they worry the rebels may not be an upgrade from the Assad regime. The survey reflected very little partisan divide in attitudes about the civil war: 74 percent of independents, 71 percent of Republicans and 66 percent of Democrats said they're against the United States and its allies sending arms to Syria. Still, the majority of the public - 53 percent to 36 percent - agreed it's important for the United States to support those who take on authoritarian regimes. Democrats, who were slightly more likely to back Mr. Obama's decision, tended to believe that the United States has a moral obligation to help stop the raging violence in Syria. Since December, support for U.S. engagement in the conflict has waned from 24 to 20 percent. Even among that 20 percent, more than half said that though they back the proposal to arm Syrian rebels, they harbor other concerns, including that the U.S. military is already overcommitted abroad. On Sunday, House Intelligence Chairman Mike Rogers, R-Mich., predicted members of Congress weren't likely to get behind the president's request without a comprehensive plan of what the administration hopes to accomplish in Syria: "What is the plan? Where are we going in Syria?" he asked on "Face the Nation." This survey was conducted by interviewers at Princeton Data Source under the direction of Princeton Survey Research Associates International. Analysis in the report was based on telephone interviews conducted June 12-16, 2013 among a national sample of 1,512 adults, 18 years of age or older, living in all 50 U.S. states and the District of Columbia.